Throwing parties are fun. Starting from the itinerary, to execution all of them seem real fun. But what’s more fun is attending it.Partying is a virtuous way of socializing with people. 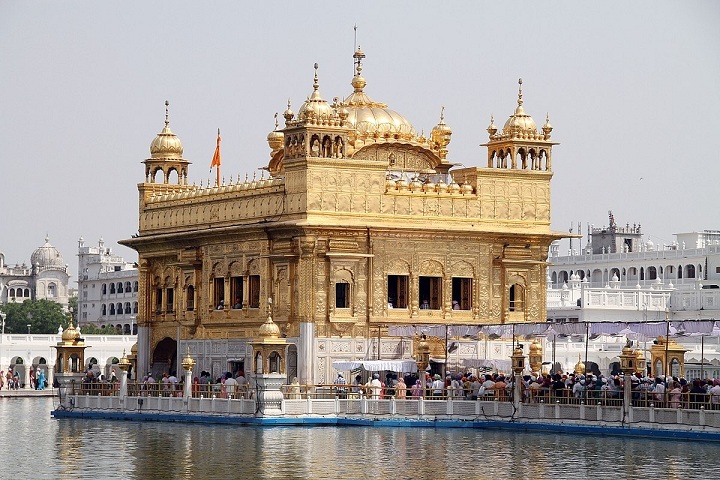 Parties could be among relatives, friends, colleagues, neighbors, business people, office, etc. The partying ways and means can vary with each set of people. When the way of partying with different people matters, the things that takes place matters too. Snacks play a very good role in partying. 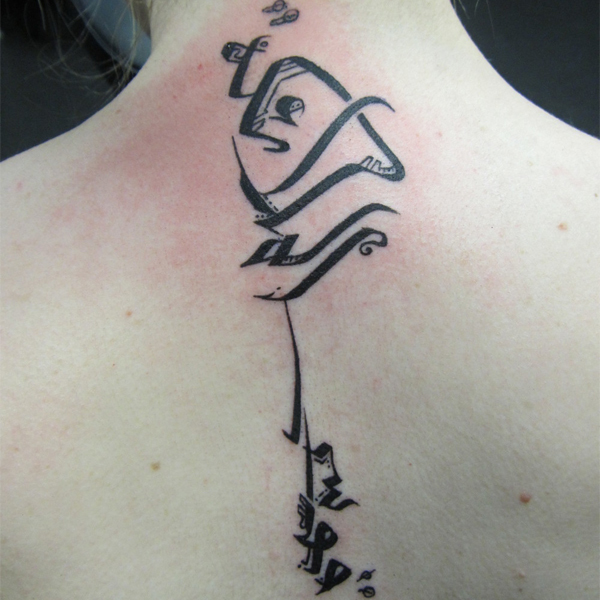 It is one form of portrayal of the quality of the party. Party snacks differ with the type of people attending the party. Say for example, party among kids should have those snacks kids would love to have; the same cannot be had for a colleague party and vice versa. Here is a Quick way to Plan your Healthy Party. Remember to first jot down whom you are planning to invite. Based on this, alter and make changes to the menu. That being done, finalize if you are going to get down and start making or if you are going to have people come over and cook for you. And for a healthy party, always keep alternatives for nuts and other food items that may incite some form of allergy. Keep away deep fried oily stuff. Consider baking your food for a healthier serve. Try as much as possible to avoid aerated drinks and instead you can substitute with smoothies or other healthier drinks. Keep an equal spread of veg and non veg options and always keep some mouth freshener. 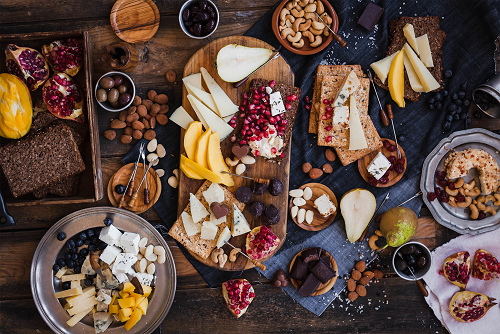 Planning for parties involve a lot of things and the most important one is the snack table. The table should have the variety of snacks that are both tasty and healthy. This goes frustrating at times, because not all healthy snacks taste good and those tasting good things are often not healthy. Vegan snacks are mostly healthy ones so it could be a better choice to have vegan snacks for parties. Plan for those snacks that are not fried deep in oil and has got much of fat content. Not just the snack but the dips too should be chosen healthy. Kids party should contain snacks that kids would love to have; finger snack can be a choice for it. Kids look for how the snack looks, so plating and arrangement shall be given an extra care for kid’s party. Plating the dishes makes a good impression on the food and people are more likely to try the dish that has been plated very well. Party snacks are often unhealthy diets. People attending the party, be it kids or adult they crave for those tasty and crunchy foods, this kind of food is not healthy. 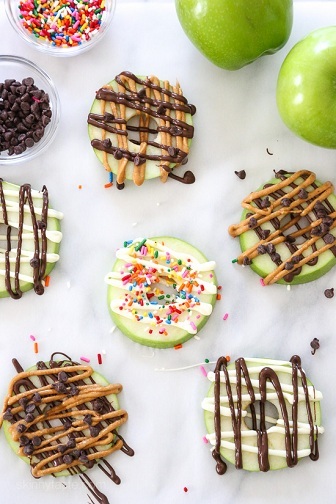 Here is our slight twist to the party snack, thus making it a healthy thing. 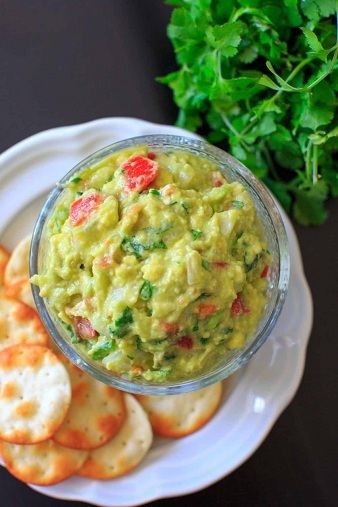 Guacamole could be had as a dip for Kakras, Tortillas and Nachos. It is one kind of a tasty, healthy and light snack. This is one good finger snack for parties. Take 2 ripe avocados and collect the flesh from it and mash well. Mix the juice of a lemon with an onion, jalapenos, cilantro, kosher salt and pepper. Mix everything together and sprinkle a pinch of Chile powder. Serve with Kakras (friend/ hardened rotis), Tortillas or Nachos. Kakras, Tortillas and Nachos can be had from the market. Spiced up snacks are always welcome. 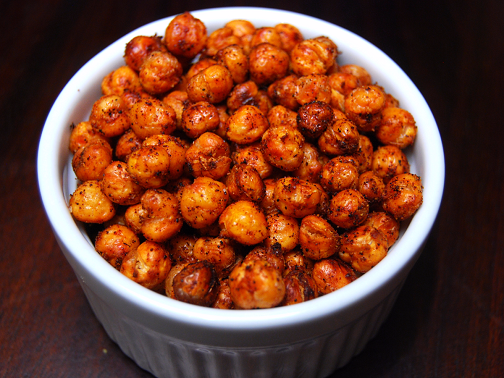 Chickpeas are healthy and that when dressed with spices turns tasty. This is one good combination of tasty and healthy snack. Drain in a colander and let dry on the kitchen counter or pat dry with paper towel. Lay it on a baking sheet in a one layer. Roast for about 40 mins. In a large bowl mix chilly powder, cumin powder, paprika, coriander powder, curry powder and salt. Add in chickpeas and mix well that every pea gets coated. 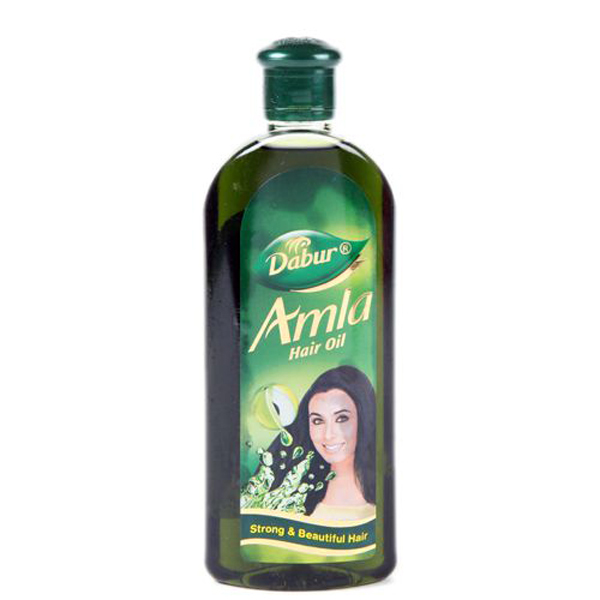 Spray some olive oil for a better coat and to enhance the taste. That’s how a classic vegan party snack is prepared! Desserts stay a step high on the snack table. Those desserts that are in a way healthy can be had without excuse. 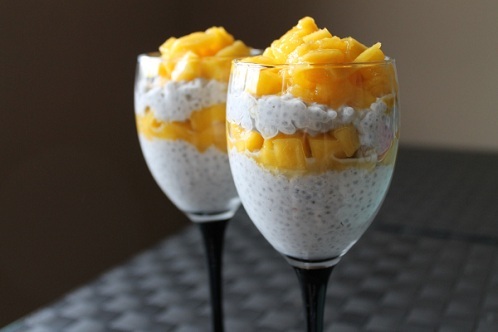 One such is the mango, coconut and chia pudding. In a bowl take some chia seeds. Grate some coconut and set aside. Add coconut milk, vanilla syrup, a pinch of sea salt, honey and grated coconut to the chia seeds. Whisk well and store in refrigerator. Let it soak overnight or for a minimum of 4 hours. Once the seed has expanded well and has softened take it out. Add in cubes of ripe and sweet mango. Give a light mix to have a good consistency. Whisking it could loosen the consistency. Everyone has a craving for pizza, but unfortunately it is not a healthy diet. What is the taste of pizza if found from something healthier? Yeah! Zucchinis could meet the taste on some scale. Cut zucchini into slices of ¼ inch thickness. Give a good brush of olive oil on both the sides. Sprinkle pepper, salt and paprika on both the sides. Set in over for some time till the flesh gets baked. Once taken from over let it sit for a few minutes. 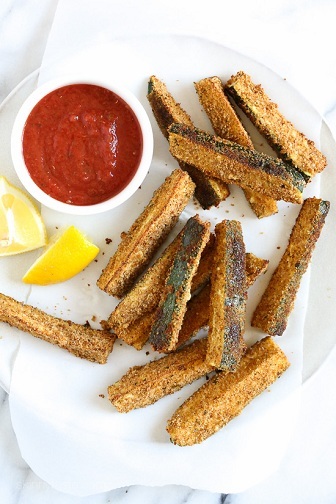 Spread pizza sauce over zucchini slices. 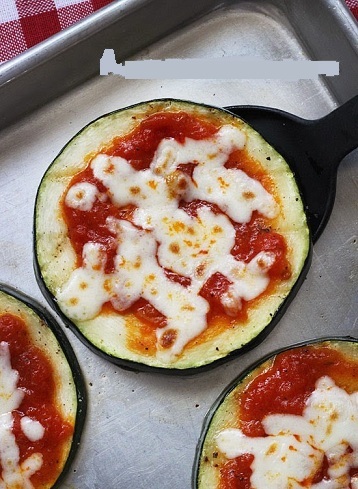 Shred some mozzarella cheese and set as topping over zucchini slices. Broil in oven for 2 minutes. Potatoes are an all-time favorite vegetable. Potatoes are often made as fingers and that is fried deep in oil which is not good for health. 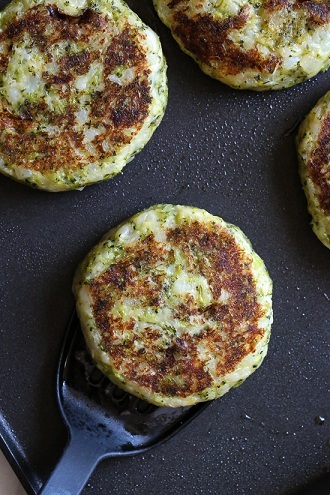 This a combo of potato and broccoli and that sounds healthy! Moreover broccoli has now become a trendy and popular vegetable so having it on a party is both healthy and trendy. Take 2 medium sized potatoes and boil it. Finely chop a broccoli and set aside. Chop the white part of the leek and an onion finely. Once potatoes are done, mash it up. Heat a pan, pour some oil in it. Saute onion, leek, broccoli, potatoes. Add some grated cheddar cheese in the pan. Mix well until it reaches the non-sticky consistency. Let it sit for a while and cool. Roll it into balls and flatten. It could be served with some tomato ketchup. People have now started to go on diets and it’s a good idea to have salads on a party. Crunchy salads taste good and could be had on a party in order to reduce the intake of calories. Take some fresh lettuce, wash and chop. Dice some fresh cucumbers and set side. Slice some juicy cherry tomatoes. Cut avocados into pieces and remove the hard part of it. 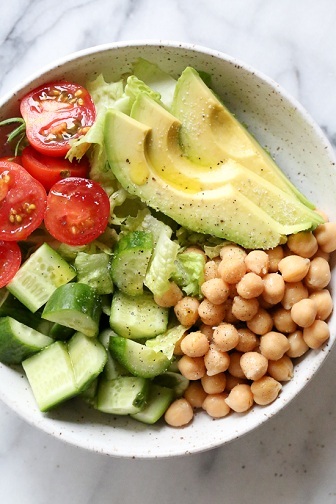 Place everything in a salad bowl and dress with the juice of a lemon or a few drops of apple cider vinegar, some kosher salt and pepper. For a final touch pour a tablespoon of extra virgin olive oil. Could be served on simple salad plates or bowls. 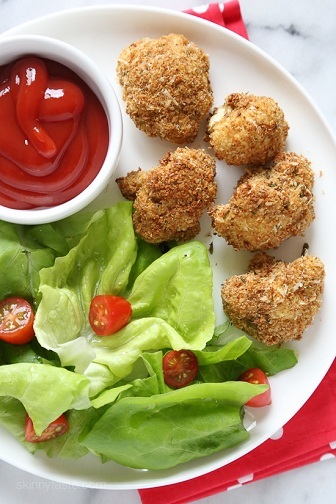 Cauliflower is a lip smacking vegetable and it tastes good on every try of it. Anything that is made of cauliflower tastes good and it is of course a healthy food. So, why not to have cauliflowers on a party table, when it is tasty and healthy? Clean some cauliflower florets and soak in hot salty water for 5 minutes. Drain cauliflower florets and pat dry with paper towel. In a bowl mix all-purpose flour and water. Mix bread crumbs, parmesan, seasoning, salt and pepper in a bowl. Dip florets in the flour mixture and then roll in the crumbs mixture. Place the coated cauliflower florets in the oil sprayed pan. Heat some oil in a pan and fry the florets till golden brown. It could be served with some spicy ketchup. Finger snacks are liked by people of all age groups as it is easy to hold and eat and looks a way more nice for a snack variety. But, those varieties are not always healthy, so here we have a healthy finger snack which is crunchy and tasty. Spray olive oil in a pan and set aside. Take 3 zucchinis and trim both the ends; cut into horizontal half and slice it again into fingers. Mix some all-purpose flour with water in a shallow bowl. In another shallow bowl mix the crumbs of bread, shredded cheese, seasoning, garlic powder, salt and pepper. Dip zucchini fingers in the flour mix and then roll it in the bread mixture. Place the coated fingers in the pan and bake for 5 – 10 minutes. The golden brown crispy fingers could be served with some sauce. Kids put their hands on colorful and looking good snacks than those healthy ones. So, it is always a good idea to have colorful and healthy snack on the kid’s party table. Bananas when given just by peeling the skin is not much liked by the children. Covering it up with some chocolate can make it the more craving snack. Peel the skin of 2 bananas and slice them into ½ inch slices. Set in a refrigerator for 30 minutes. Melt some choco chips and set aside. Take the banana slices and insert popsicles sticks into it. Dip them in the melted chocolate deep so that the slice gets coated completely. Roll the sticks in colored sprinkles. Rest the coated sticks on a plate with butter paper. Freeze it for 15 minutes. Children when given same type of food for a long time tend to lose interest in it. Trying hands on the food and making it look different can improve the chances of children liking it. An apple when sliced and given it is healthy but is neither colorful nor different. Take 2 green or red apples and scope it in the middle to take the seeds out. Cut into ½ inch circles. Melt some white chocolate and peanut butter in an oven. Place the slices in a parchment paper. Arrange slices on the paper. Give a free flow of white chocolate and peanut butter alternatively. Top it with colored sprinkles. Pizzas kindle the taste buds but is not good for health. As kids are not much aware of the exact procedure of it, some healthy food can be presented in the way and catch the eyes of the children. Take 3 full French breads. Cut it length wise and then crosswise into 1 inch slices each. 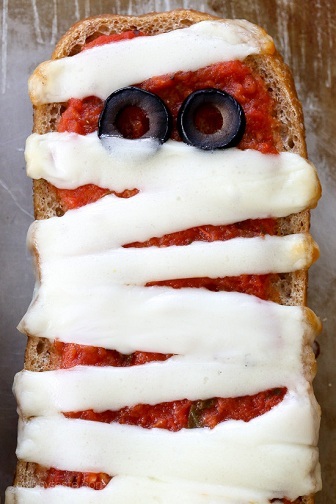 Spread pizza sauce on the slices. Cut cheese slices thin and long. Place the cheese slices in a criss-cross way. Place the bread on the pan with parchment paper and bake for 5 minutes. Cakes are common for a snack table, so if it is altered it would look different and eye catching. 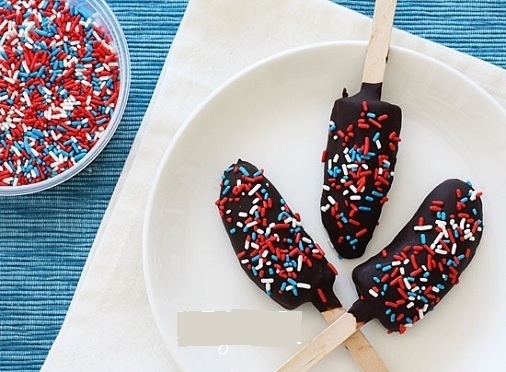 Cake popsicles can catch the eye of the kids easily. Crush a few moist cake pieces and make crumbs out of it. Roll the crumbs into small balls and set aside. Insert a toothpick into each ball. Melt some white chocolate and dark chocolate. 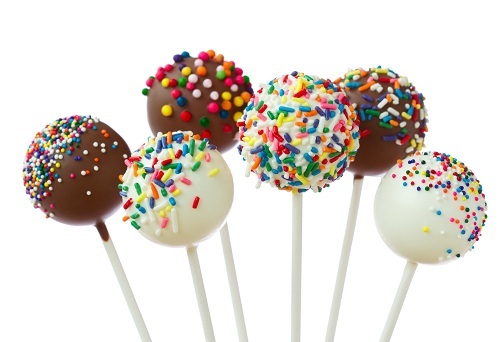 Dip the balls either in white or dark chocolate. Fruits when given to children just like that do not attract them. 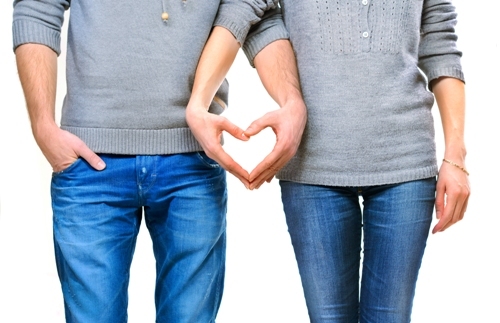 Making some alterations can improve the liking for fruits in the children. Clean some grapes and separate from the stem. 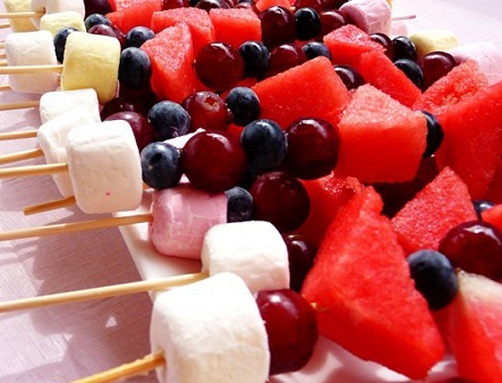 Take long sticks and insert into marshmallows, insert grapes and watermelon slices. Serve with some sweet dips. Heavy snacks are not advisable in a party table. Snack table could be set based on the type of people who would come to the party. Do not place the simple store brought items on a snack table. Trendy snacks move faster than store brought ones. Parties often take place in the evenings and it is advisable to have light snacks. Fun filled parties should end tummy filled, and this needs a very good foot/snack table. Placing some common food that is available around the place doesn’t make the party special. Food that is both healthy and tasty can be arranged so that the people who have come for the can have a fun filled healthy evening.